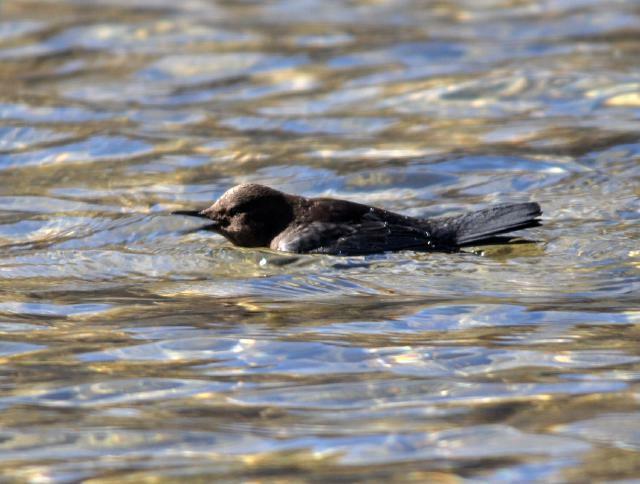 Swimming and diving for food. It did not go completely under water, it seems. 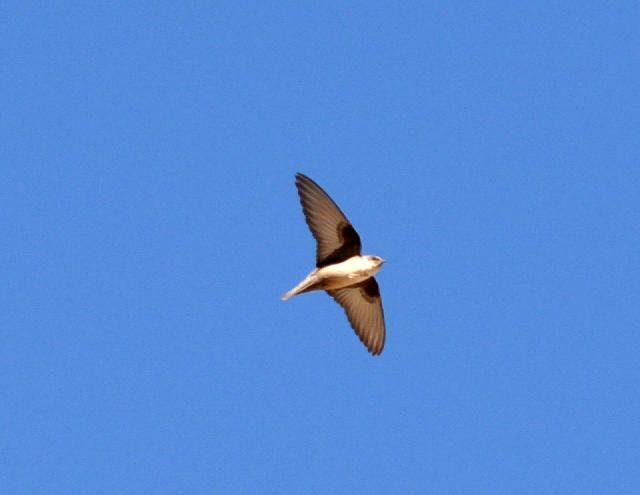 Eurasian Crag Martin flying from below. 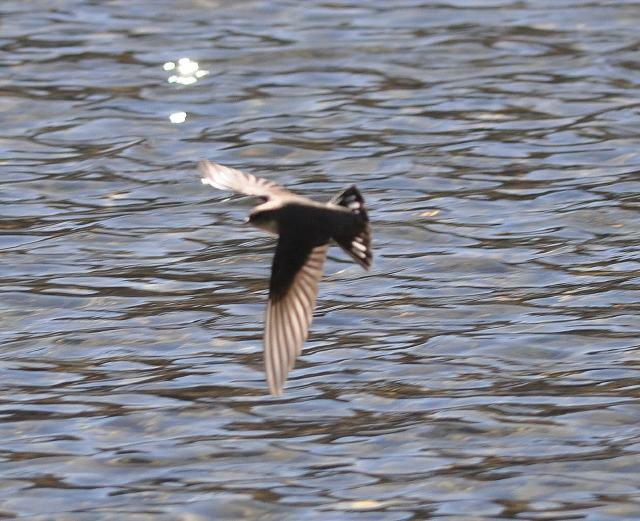 Eurasian crag martin, bad picture but the white spots on it's tail are visible.